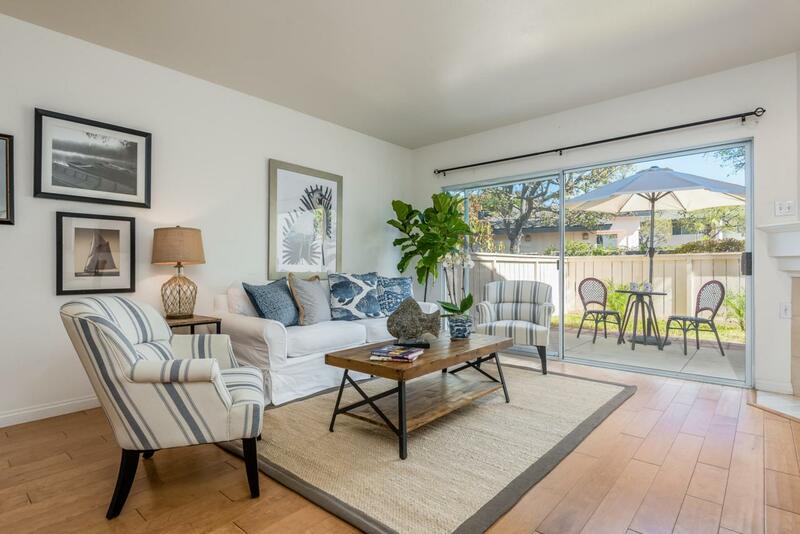 An Inviting Townhome for Nature Lovers and Shoppers, Alike! 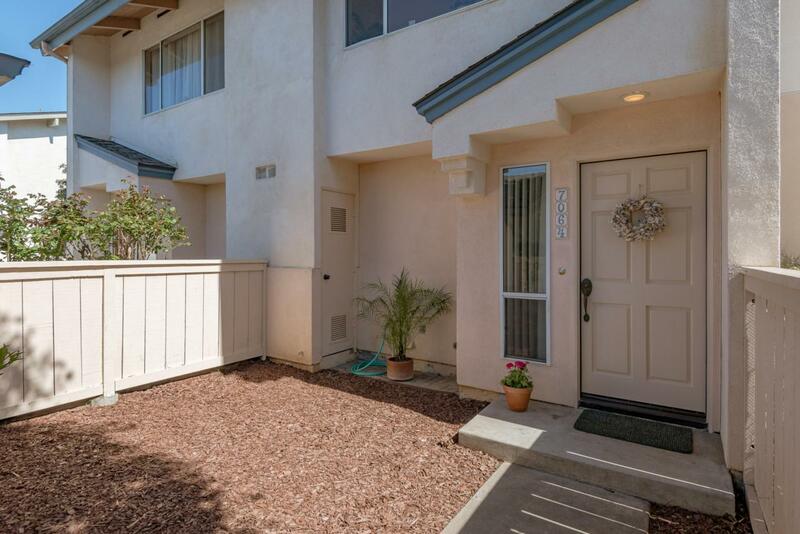 Featuring abundant natural light, this inviting two bedroom, one and a half bath townhome boasts gleaming wood floors, a living room with a gas fireplace, and two large patios expanding the living space/entertainment options. The kitchen contains stainless steel appliances, and several dining options are available -- in the dining room area, at the kitchen counter, and out on the welcoming private patio. An open floor plan allows for an easy transition from one area to another. The oversize master bedroom features ample space to accommodate a home office arrangement. Wonderful mountain views are viewed from the second bedroom. 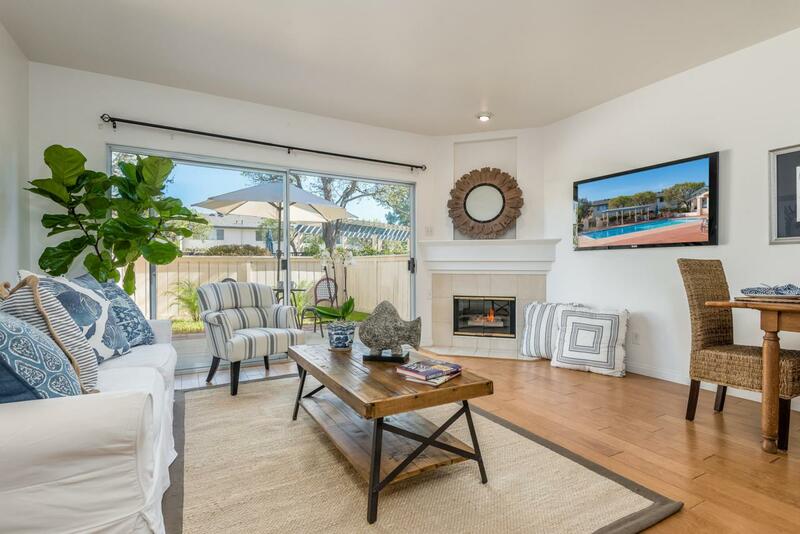 Generous storage throughout the home is another plus.Surrounded by the North CampusOpen Space (NCOS), enjoy the miles of trails traversing the 136 acres of restored and preserved coastal open space, which lead to the beach and butterfly preserve. Fantastic Girsh Park is an additional benefit outside your front door. Or if shopping is your pastime, the convenience of the Camino Real Marketplace featuring Costco, Home Depot, and popular restaurants and shops is a shopper's dream. 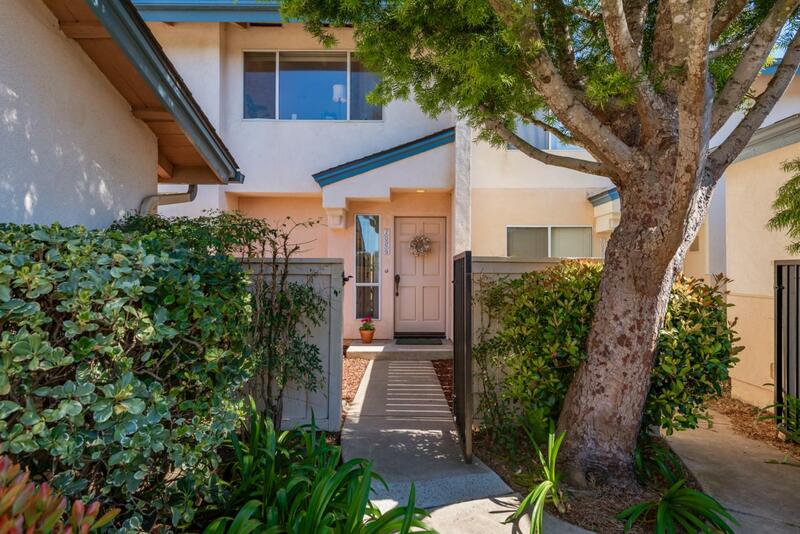 Also, convenience to UCSB and the heartbeat of Goleta further enhance the truly desirable location of this beautiful townhome. After a hard day at work, take a plunge in the beautiful pool and hot tub located just steps away. Pets are welcome, and the townhome can be rented. With an in-unit laundry room, one-car garage with ample storage cabinets, and a low monthly HOA fee of $315, you are sure to appreciate all the benefits of the resort-like lifestyle which The Fairways has to offer!